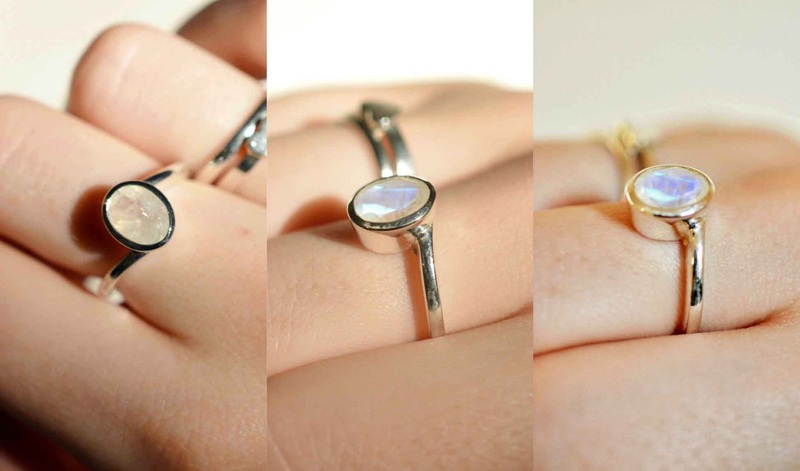 Moonstone jewellery has been on my wishlist for years, it's a striking stone that catches the light in such a beautiful way. My friend recently asked me if this ring was opal, which was a total compliment since real opal is #goals in my mind. This rhodium-plated sterling silver ring is on sale for $43.80 cad, and I have size 5 for both this and the Magic Square below. They fit perfectly on my middle fingers. Rhodium plating is something I've noticed in a few other rings I've bought since it makes a piece makes more resistant to scratches, increasing its longevity. 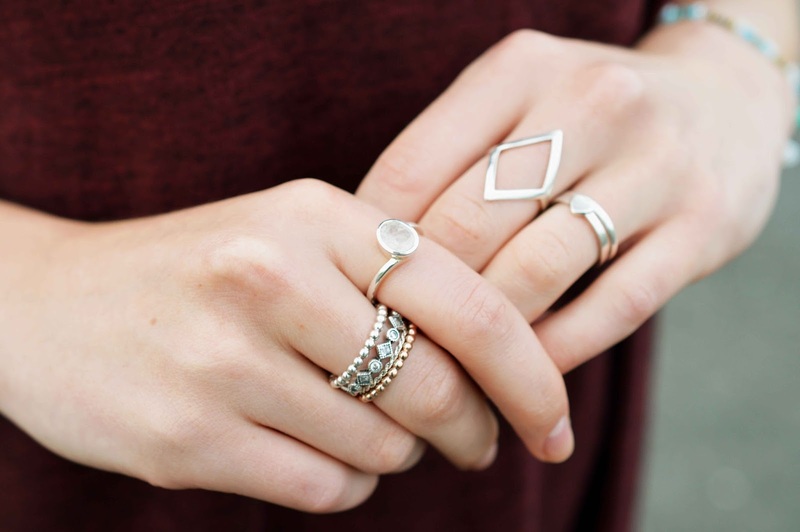 MoonstoneShop carries incredible stacking rings (like the Spellbinder) and more simple silver styles for the minimalists in your life. I am over the moon with my Magic Square sterling silver ring, which gets so many compliments. Best part? It's only $23.78 cad. These rings went on my fingers the day they arrived, and I haven't taken them off since. The Magic Square is made of durable, 925 sterling silver which has lasted so well over the 2 months I've had it. A cool styling idea would be to layer two Magic Squares together, which you can see displayed on the MoonstoneShop.com site. MoonstoneShop.com rings come packaged in plastic bags, with a white felt case to store them in. I like to keep my sliver jewellery stashed in individual resealable craft bags, which I bought at Hobby Lobby in the US. Within each bag I keep a small piece of 3M Anti-Tarnish Paper, to avoid oxidization and tarnishing of my jewellery. They work like a charm. MoonstoneShop.com has added a ton of solid gold and rose gold rings to their lineup as well, which you can browse through here.